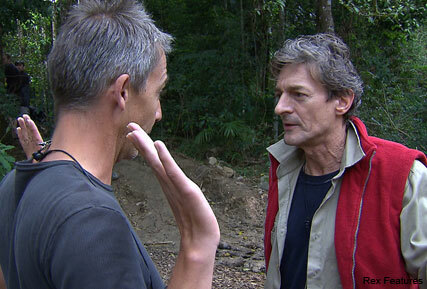 In the latest dramatic turn of events, actor Nigel Havers has walked out of jungle show I’m a Celebrity Get Me Out of Here, after complaining about the treatment of contestants. This comes after TV nutritionist Gillian McKeith collapsed for the second time after being given her seventh bushtucker trail, and contestants were given electric shocks if they failed to complete special tasks. SEE MORE I’M A CELEBRITY PICS HERE! During yesterday’s show, Nigel voiced his concerns on the treatment of the celebrities, adding he was not enjoying his time in the jungle, and was considering quitting altogether. ‘I’m not up for it, I don’t do electric shocks so I’m leaving. I cannot waste another second of my life. I will probably do something drastic like probably go,’ he told the camp, after objecting to the Kangaroo Court task. 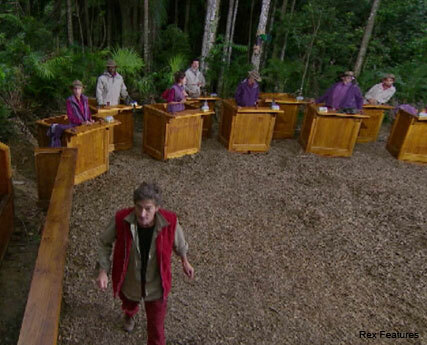 The special trial saw contestants attend a ‘court hearing’ held by a toy kangaroo, and asked to bang a gavel everytime they saw a baby Joey appear, with the slowest contestants being given small shocks. Nigel walked out on the task, but after a heated exchange, was finally persuaded to return. Now it seems the star decided he simply couldn’t go on, after quitting the show altogether. Earlier, producers confirmed Nigel had left the show, but did not say who would be going in to replace him. Nigel’s shock exit comes just hours after Gillian McKeith was nominated for her seventh task, but passed out live on air, claiming ‘mental exhaustion’. The star keeled over as Ant and Dec began to explain the trail, and later went on to reufse the task. What are your thoughts on Nigel’s shock exit? Or Gillian’s second collapse? Let us know in the comments box below.